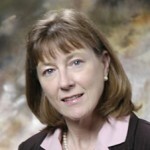 Home › Speakers › Linda Albrecht, MBA, RPh. Linda is Past President of the Metroplex Society of Health-System Pharmacists where she has also served as Secretary, Director and Annual Seminar Chairperson. Linda has served the Texas Society of Health-System Pharmacists as Secretary, Co-Chair for the 1992 and 1995 Annual Seminars, Membership Group Chair, and Awards Group Chair. Since 1998 she has served as Executive Secretary for Alcalde, The Southwest Leadership Conference for Pharmacy Residents, Fellows and Preceptors. Linda was the first recipient of the Pharmacist Recognition Award presented by the Technician Section of TSHP and received the Individual Educational Excellence Award presented by the Texas Pharmacy Association. In May of 2004, she received the NISOD Excellence Award given by the National Institute for Staff and Organizational Development Community College Leadership Program. Linda was inducted as a Fellow of the American Society of Health-System Pharmacists. Other memberships include the Pharmacy Technician Educators Council and the American Association of Pharmacy Technicians. Linda and her husband Jon, have been married for 25 years and have a 3 daughters, Natalie, Rosemary and Christy. In her spare time, Linda enjoys showing dogs, cross-stitching, walking and attending professional sporting events. Disclosure: Dr. Albrecht has no relevant financial relationship(s), potential or perceived, with commercial or conflicts of interest to disclose.